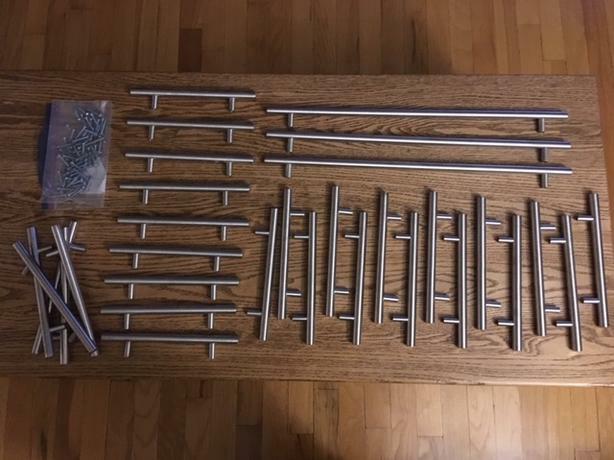 Brushed stainless pulls, 28 @ 5" centres, 3 @ 16 1/8". Excellent condition all. Hardware included. New approx $160.